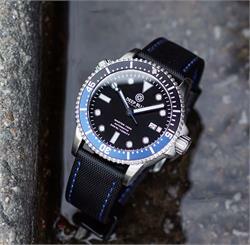 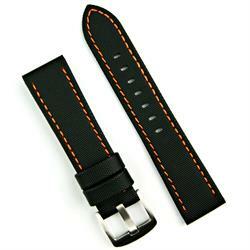 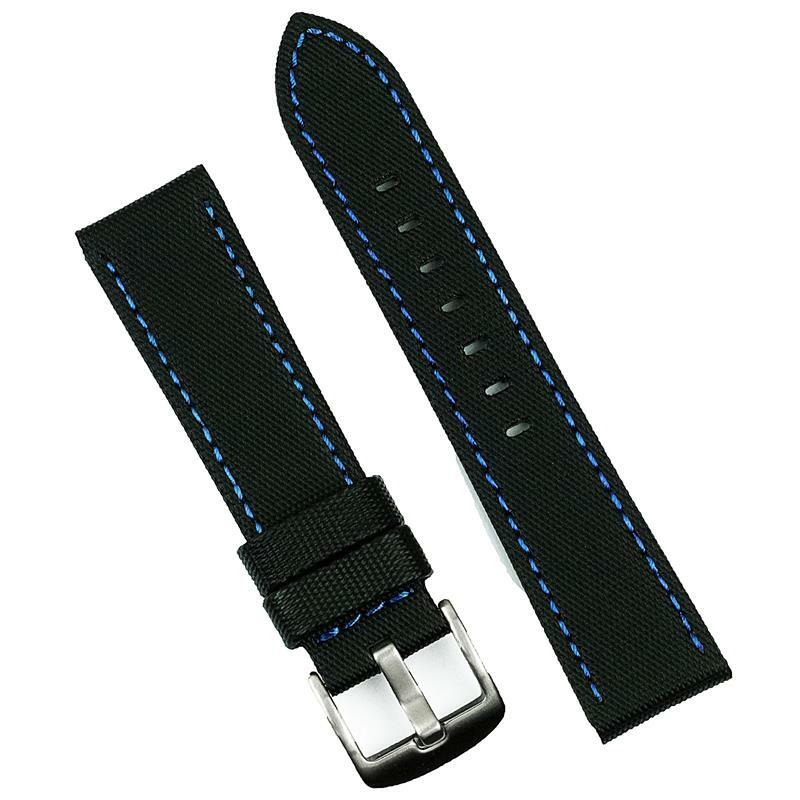 Highly versatile, it's easy to see why our Waterproof watch bands are a customer favorite. 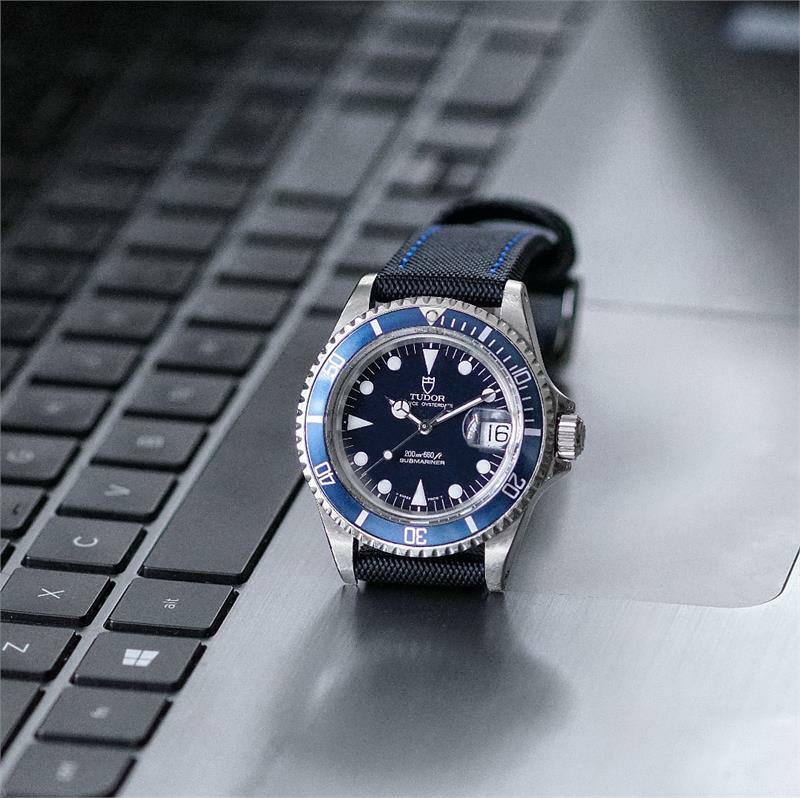 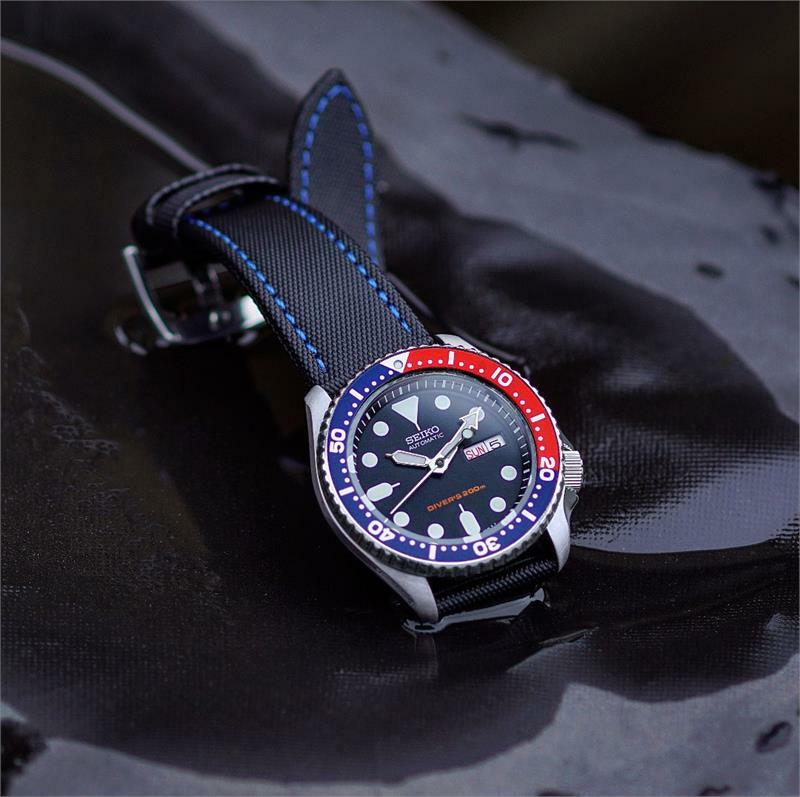 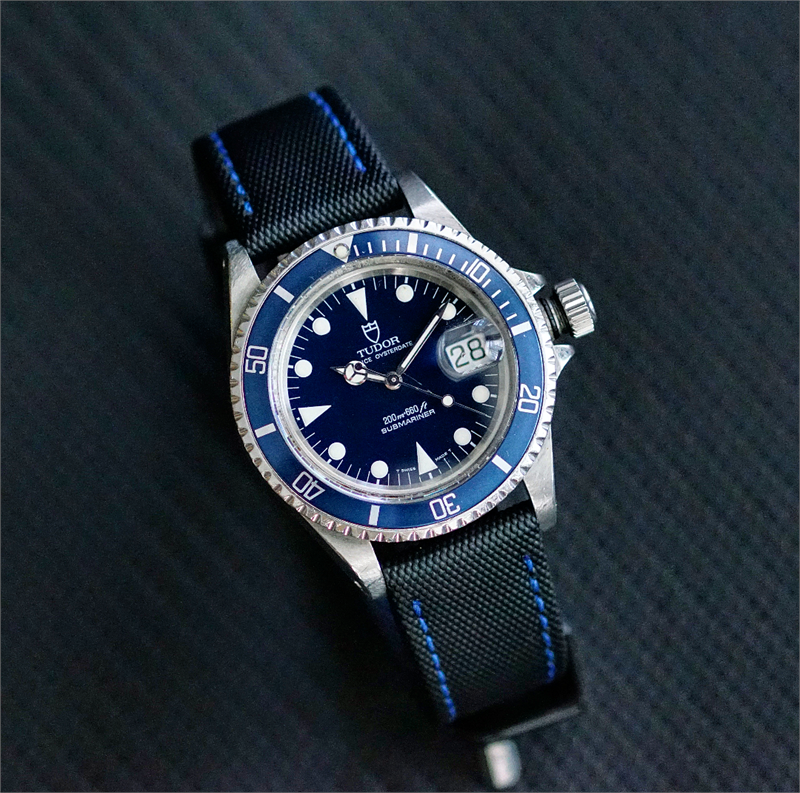 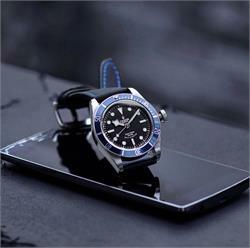 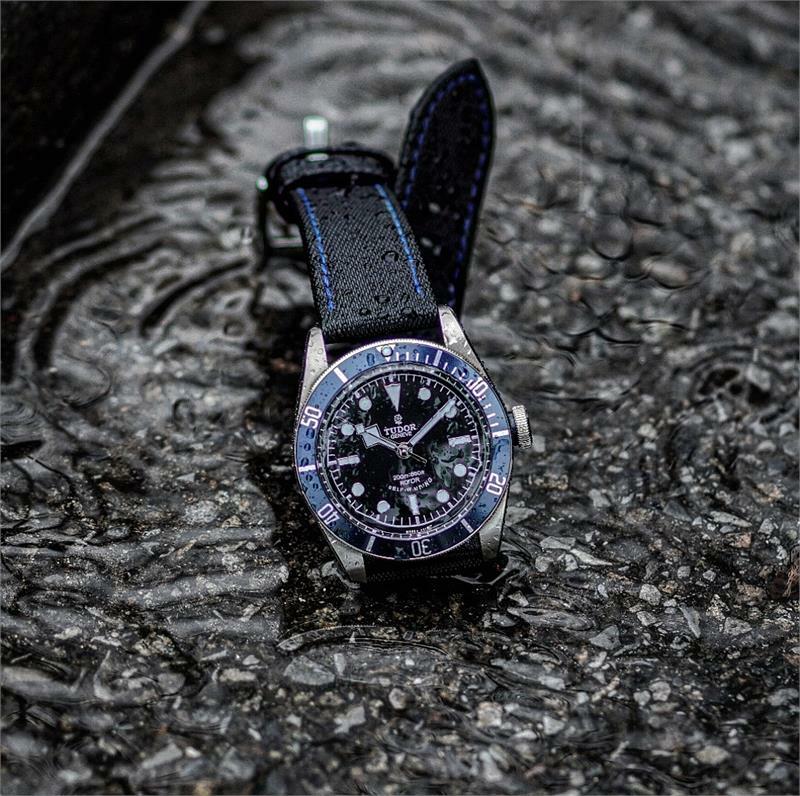 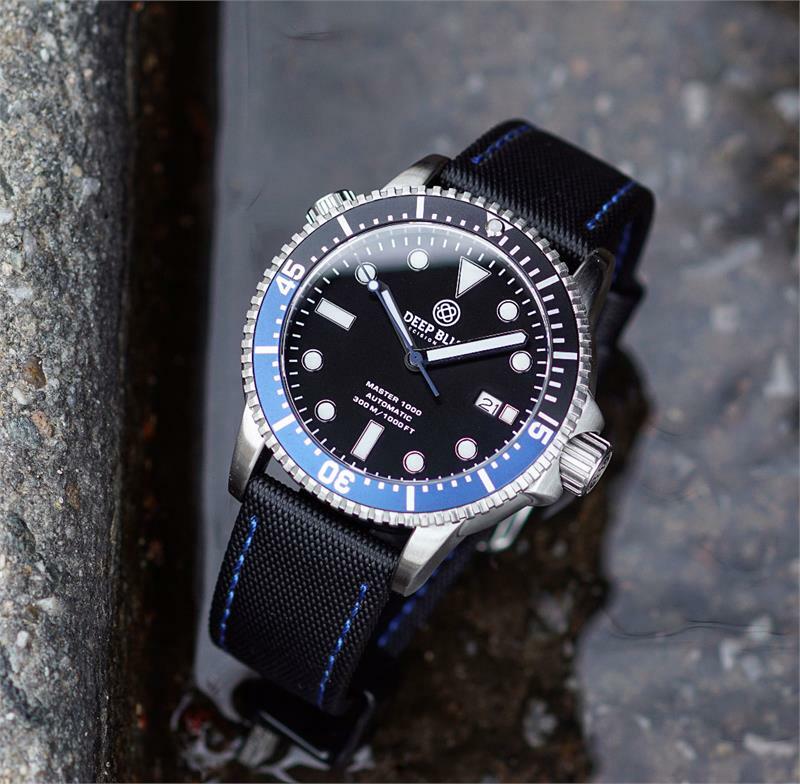 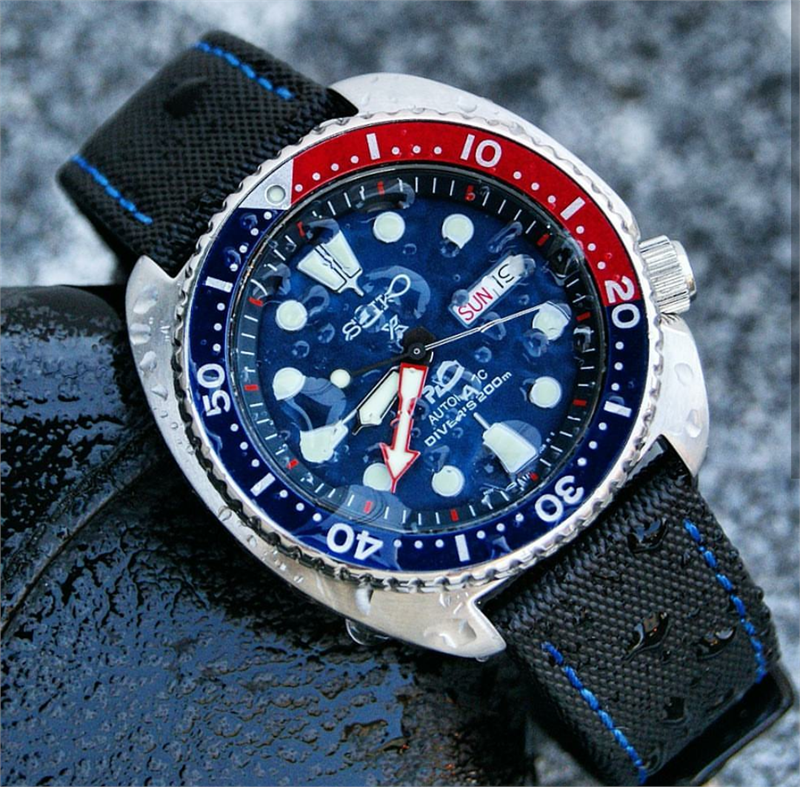 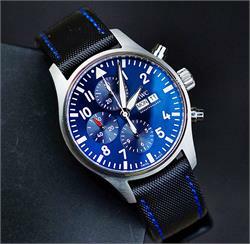 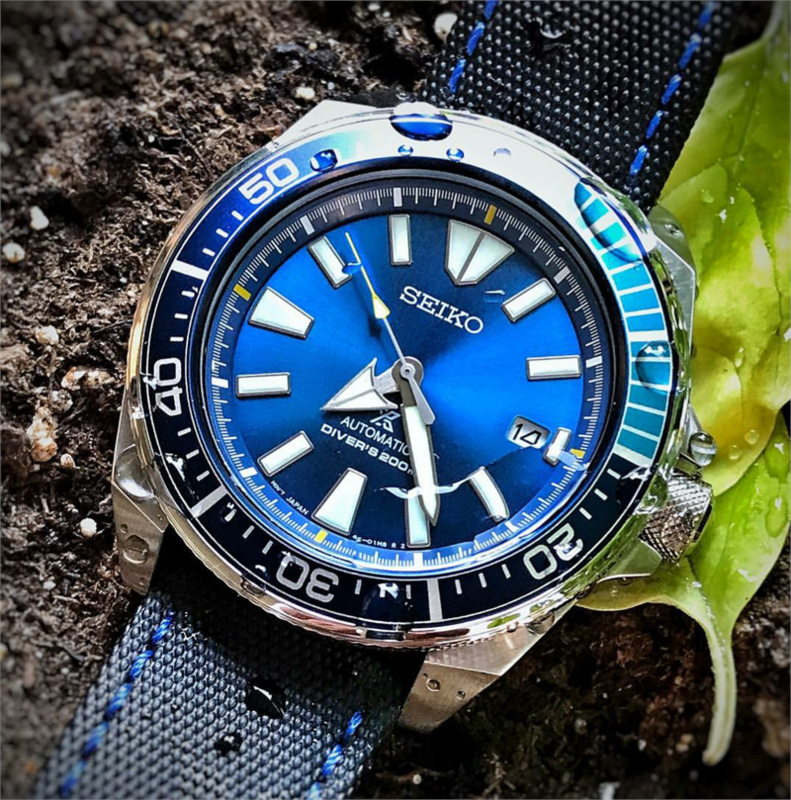 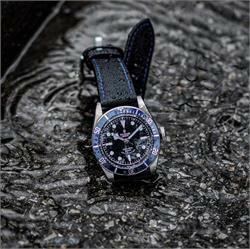 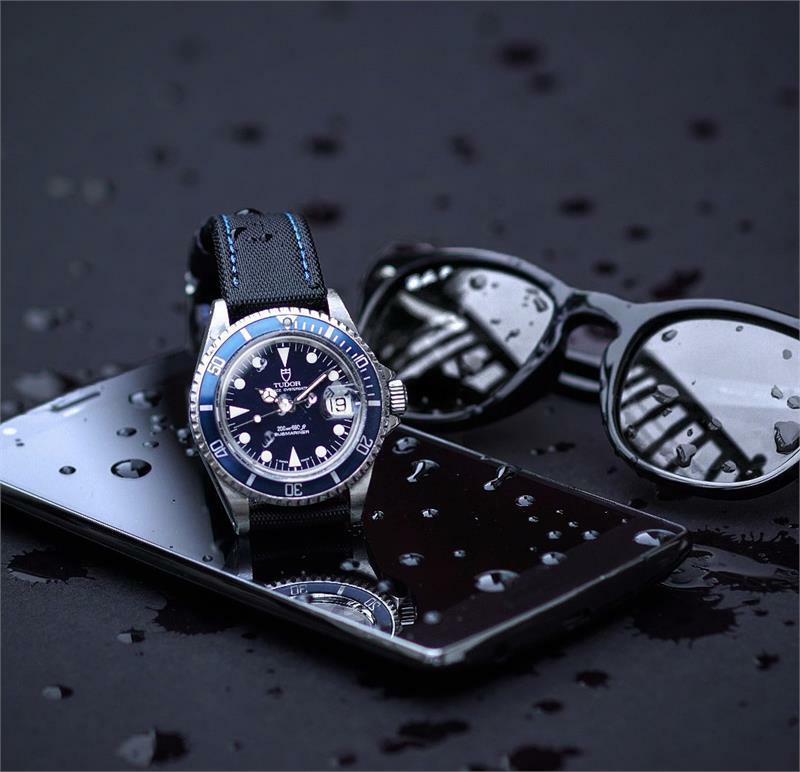 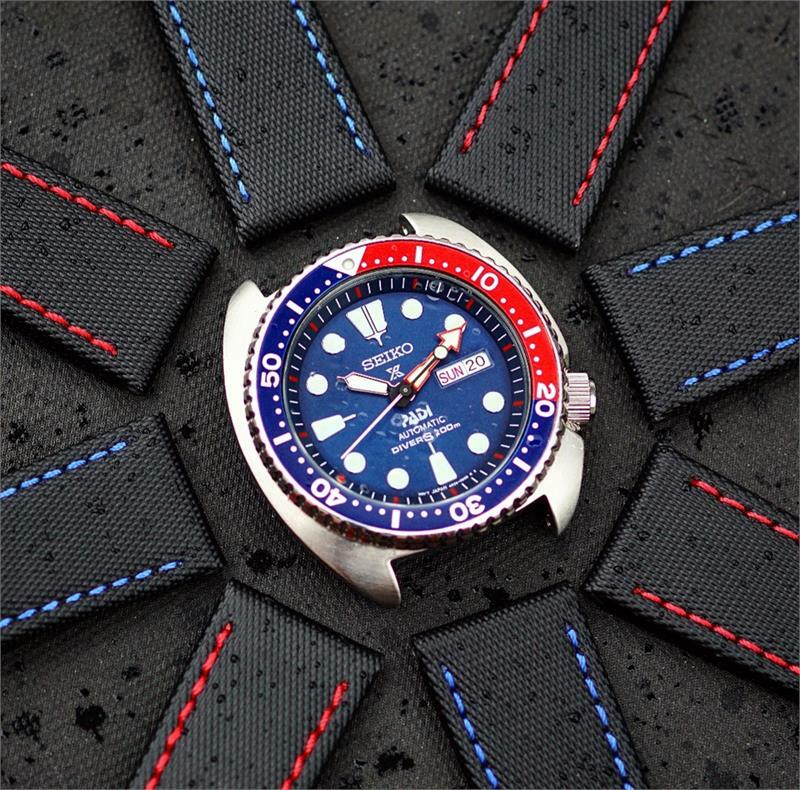 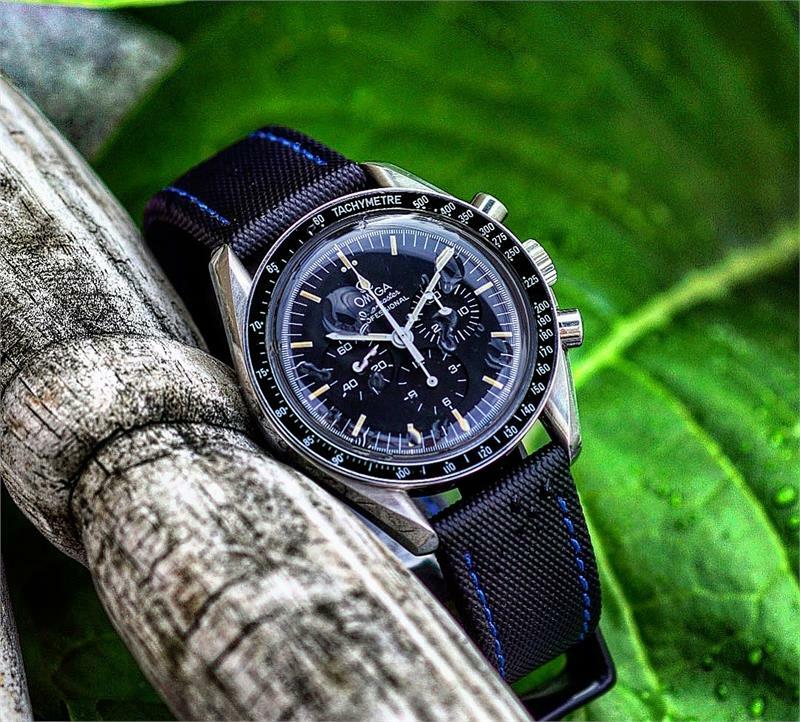 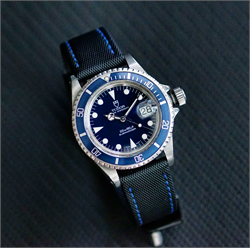 With it's super stealthy, "sailcloth" style finish, you'll instantly experience the transformation your watch undergoes with one quick strap change. Extremely flexible & durable, you can enjoy the benefits of a really comfortable strap without compromising it's longevity. 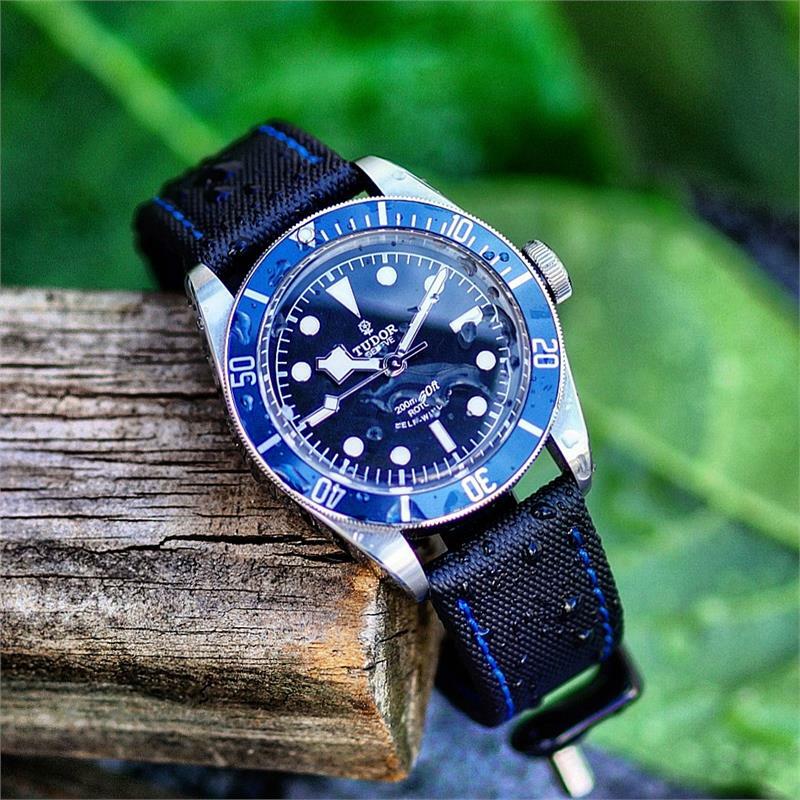 As it's name states, this strap is fully waterproof and can be enjoyed in the pool, shower & all other outdoor activities. 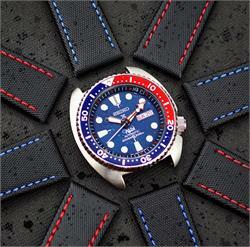 The clean contrast stitching enhances the sport/dive theme.